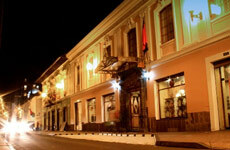 A charming boutique hotel filled with elegance and comfort. Hotel Patio Andaluz is located in the heart of the historic Old Quito, which was declared a World Heritage Site by UNESCO in 1978. Surrounded by churches, museums and national monuments, the hotel is an official National Treasure and holds centuries of history within its walls. Hotel Andaluz also houses a restaurant, a cava bar, and a library, and the thirty-two rooms and suites are fully equipped with amenities to make your stay as comfortable as possible. 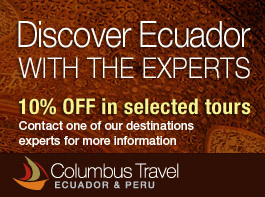 The rooms are a harmonious combination of colonial Quito and modern luxury that the guest will appreciate. 11 suites fully equipped with amenities. 21 standard rooms fully equipped with amenities.